This morning woke up early and went with Uri to Tsora fields. We were expecting our first serious weather system of the coming winter, and I was happy to be outside before a few days of rain. 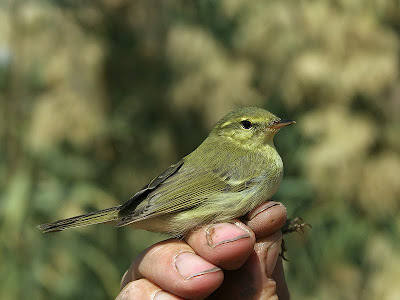 It seems that most winter birds are already here, and we're recieving the late migrants now. 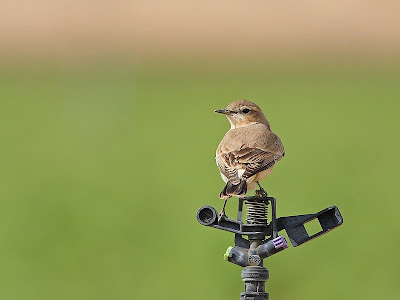 However it was pretty windy and not too many birds were about. 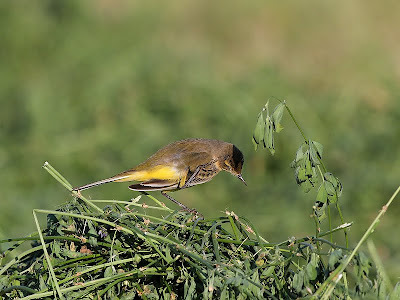 The alfalfa fields held a large mixed flock of pipits and skylarks, with one Richard's among the many red-throats, meadow and water. Near the reservoir one male Caucasian Stonechat (veriegata) showed well. Almost got bogged with the car while trying to cross the wild Sorek stream but managed to get through. Just wanted to update that I have a new baby - he was born on Thursday 15/10/09, doesn't have a name yet and looks like his big brother Uri. He is a very sweet baby. 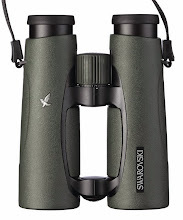 So I will probably be rather slow on the birding side during the next week or two. This morning I was working at home. 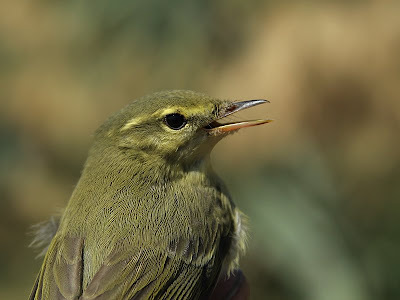 09:15 - phone rings, Ron Haran is on the other end: "I think I have a Green Warbler at Netiv Halamed-He, can you come over to have a look?". Grabbed my gear, ran to the car and sped off. Luckily Netiv Halamed-He, Ron's constant-effort ringing site, is only 20 minutes away from my house. Anyway, well done Ron for the find and for the ID! 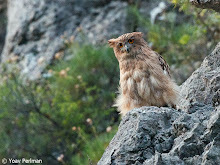 This is the fourth record for Israel of this Himalayan gem. 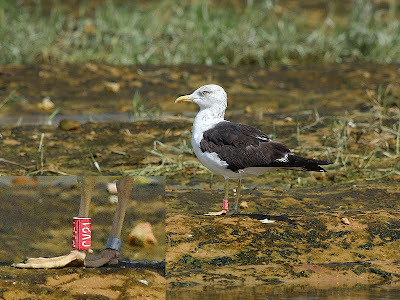 The first was ringed by Hadoram in October 1997. 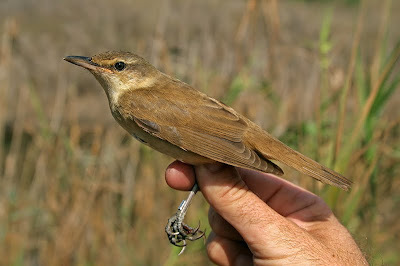 The 2nd was found by Zev Labinger and seen by many observers, including myself, at Ramat Sirin, E Galilee, August 2004. 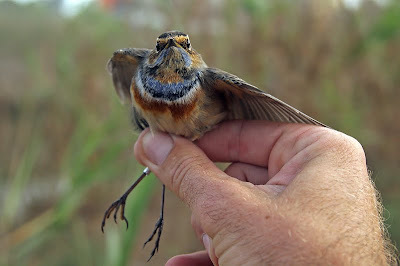 The 3rd was ringed by Ulf Bauchinger et al at Sde Boker in May 2008. 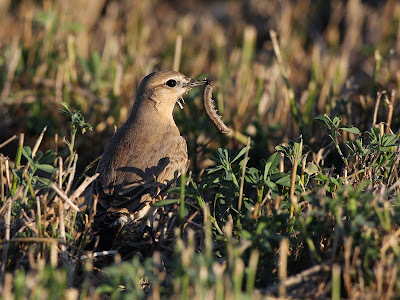 This type of twitching is not very challenging, but it was a super bird nevertheless! Yesterday (10/10/09) I went scuba diving at Eilat. 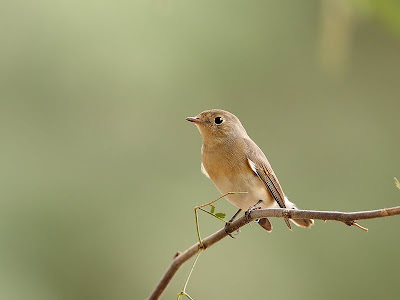 Before my dive buddy woke up, I had a couple of hours of birding in the traditional birding sites of the southern Arava - Yotvata, Samar and Elifaz. 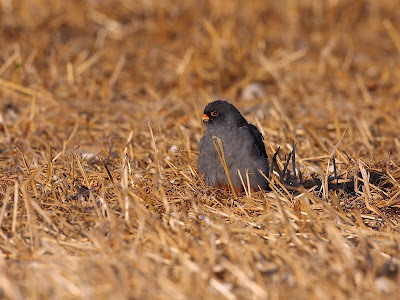 Contra to the situation in spring, when the whole region is teeming with birds, this period of autumn is actually very boring. It seems that most migrants stop for refueling in central Israel before crossing the vast deserts of N Africa. 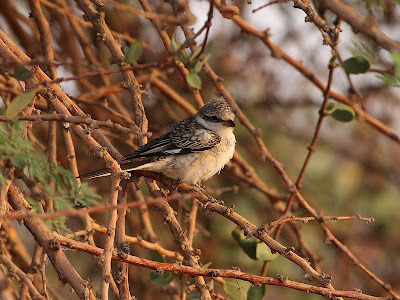 Actually, Elifaz sewage was the only site which had good numbers of birds - it looks quite promising for November, when I'm sure it will host a good sibe. 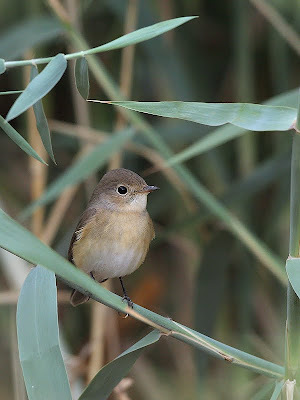 But till then, I had to settle with many acros (all those I saw well were reeds), several Savi's Warblers, Indian Silverbills etc. 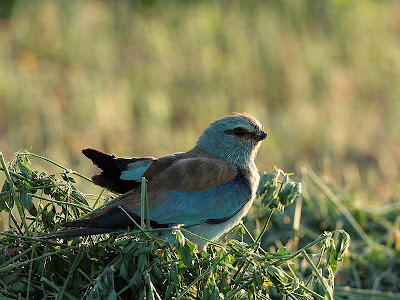 This morning (6/10/09) I had a few meetings at Sde Boker, so I decided to make an early start and spent the early morning birding at the Ben Gurion campus, Sde Boker. Driving south from my house, I hit some serious weather - quite exceptional at this time of the year. 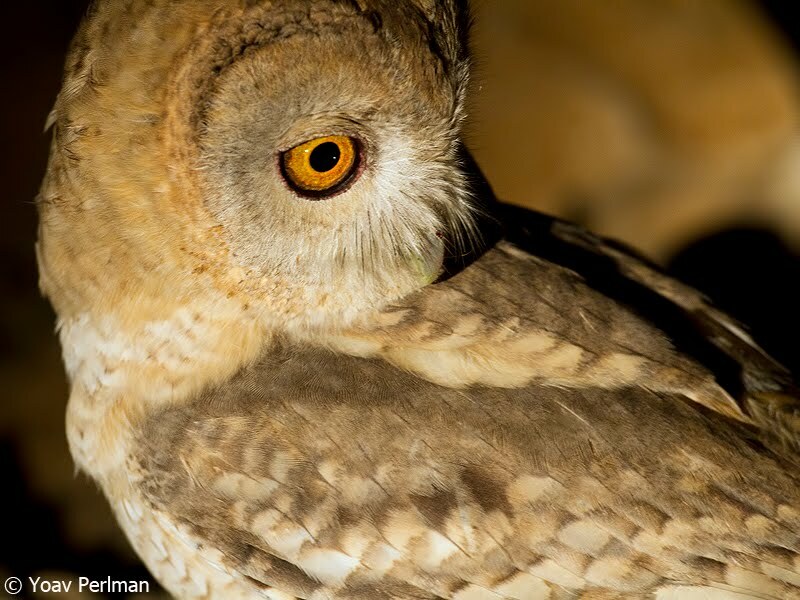 This weather must have knocked down loads of birds in the center of the country, but the south was rather quiet. 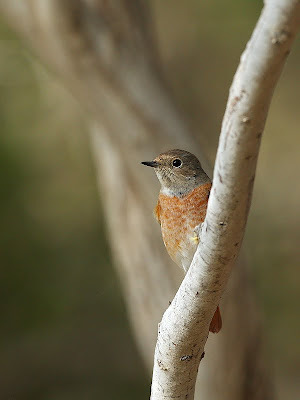 There were quite many Redstarts and Spotted Flys between the trees. 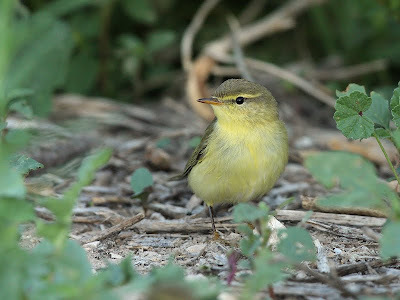 Also Willow Warblers and Blackcaps were rather common in the canopies. Some Tree Pipits were flying around. 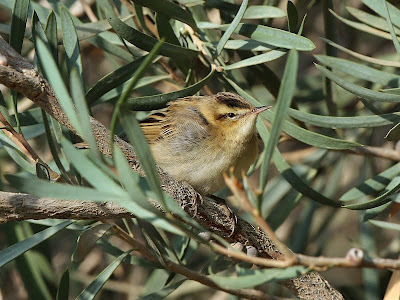 This exhausted Sedge Warbler jumped around in an olive tree. 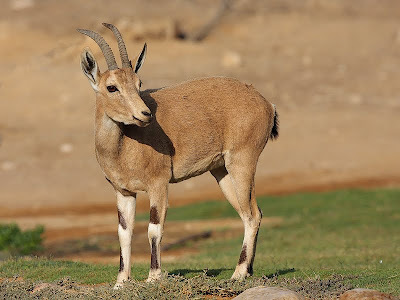 Many Nubian Ibex were feeding in the park, mainly juveniles and females. 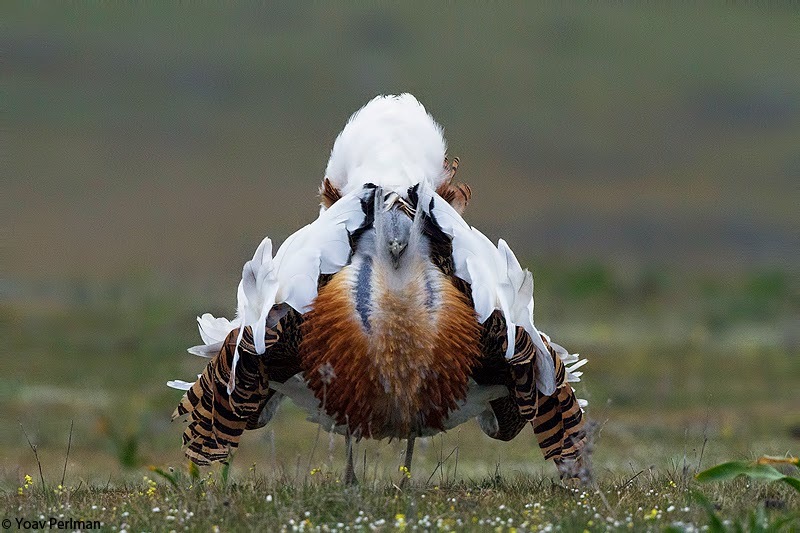 These funny animals are so tame, and it was nice to watch the interaction between the animals, including males having some sexual adventures with each other... However they were quite worried each time I got my 'big-daddy' camera out of the bag and fled for two meters. Later I drove through the irrigated fields. 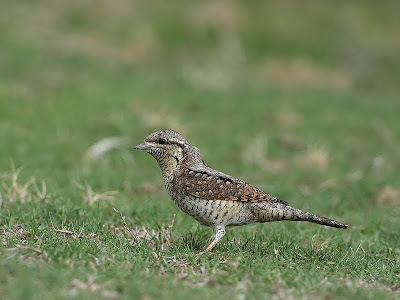 There were some Red-throated Pipits and Short-toed Larks feeding. 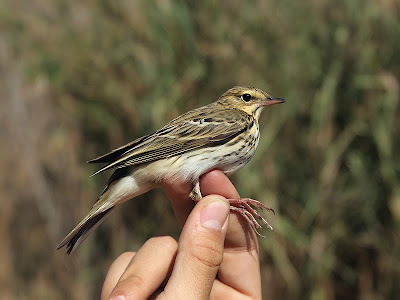 I saw one distant buzzing Oriental Skylark but didn't get any decent views of it. I spent today (1/10/09) with Mike Alibone (UK). Following yesterday's RBA flood, we made an early start and headed towards Ma'agan Michael. 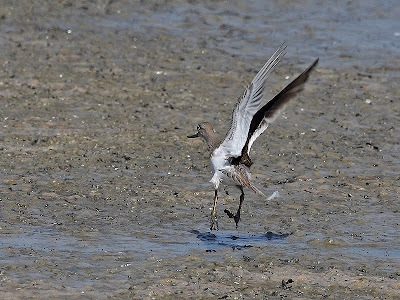 The shorebirds were rather mobile, but eventually we managed to catch up with all good birds around. 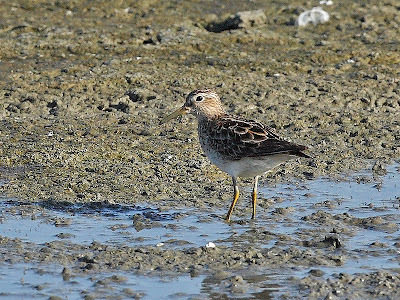 the best for me was of course the Pectoral Sandpiper, found yesterday by Chen Rozen. 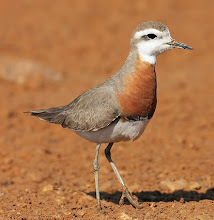 I saw one at Yotvata last May, but it was good to see this one too. 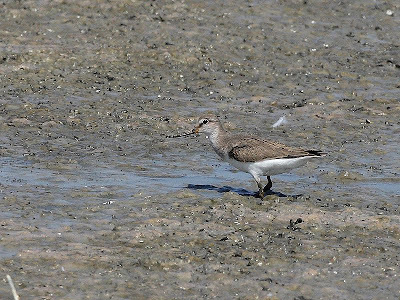 Mike was actually very keen on seeing this Terek Sandpiper. It took us some time, but eventually we got great views of it. 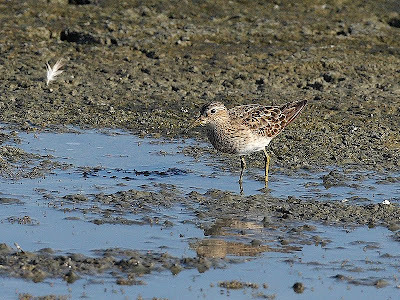 Other good birds in the fishponds were a 1cy Red Knot, four Broad-billed Sandpipers, over 20 Temminck's Stints, a 1cy Black Tern, and several Citrine Wagtails. 'Big' birds were seen in huge numbers. First thing in the morning about 3000 White pelicans were sat in the sea; some moved on during the morning, while others tried their luck in the fish farm. There were more than 1000 Slender-billed Gulls present - an impressive figure. 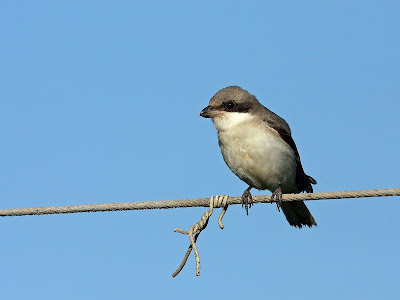 During the morning we joined Jonathan Meyrav near Nahalal, and managed to get some decent raptor migration, with about 150 Lesser Spotted Eagles, 15 Levant Sparrowhawks and other bits and pieces. But soon the migration dried out and it ended up to be a very quiet migration day. A windy visit to Tishlovet reservoir was productive with a single White-headed Duck and over 20 Ferruginous Ducks among the huge numbers of Shoveler and other ducks. Six Black-necked Grebes were nice too. 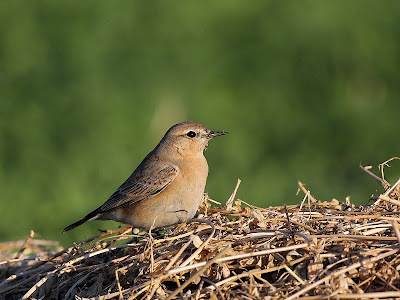 Bet She'an Valley in the afternoon was relatively quiet, but it was nice to see three bright Black-eared Wheatears.